Your partnership agreement is one of the most important business documents you will ever sign. Many people go into business with loved ones, relatives, or lifelong friends only to discover (once it’s too late) that they should have had a partnership agreement. This agreement protects everyone involved and can help reduce problems that may arise. Outlining what will happen during different potential situations and events, in a legal framework, can help keep your business running smoothly. 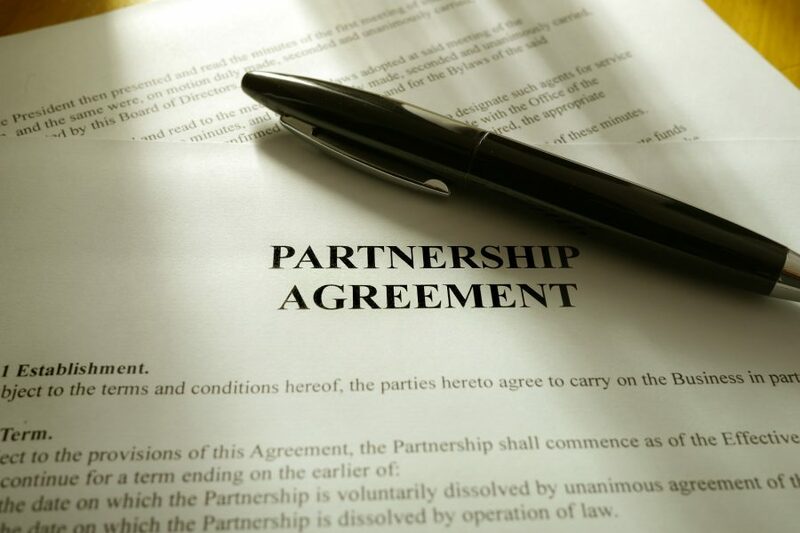 What Should a Partnership Agreement Include? Every business is different, but every partnership should outline, with as much clarity as possible, the rights and responsibilities of all involved in the business. A well written and carefully considered partnership agreement will keep small problems and disagreements from evolving into more elaborate and serious concerns. In business, there are times to take a “do-it-yourself” approach and there are times when you should always opt for a professional. When it comes to partnership agreements, it is best to opt for working with a lawyer. Finding competent legal help to draft your agreement is a must. Who will oversee managerial work? What must be done to bring in new partners? Thanks to partnership agreements, all partners involved can proceed and start a new business with fewer areas of concern. It is important to understand that without this agreement, your company can face a range of disruptions – disruptions that could seriously and irrevocably damage your business.